Illinois is poised for adult-use cannabis, but will it beat Michigan to the market? Michigan may hold the title for the first Midwestern state to legalize an adult-use market, but commercial sales aren’t expected to begin until 2020, at the earliest. With lawmakers in the Wolverine State struggling to hash out final details of a recreational market, an opportunity has been bestowed on advocates in Illinois, who have been making their respective push for legalization. When it comes to ending prohibition, the Midwest has traditionally lagged behind the East and West Coast in both medical cannabis and adult use. When Michigan became the tenth state to legalize adult-use cannabis, it was the first Midwestern state to do so. Naturally, the state found itself littered in headlines across popular news platforms like Fox, CNN, and the New York Times. Whoever accomplishes the first adult-use sales in the Midwest will experience similar results, and will likely dominate cannabis headlines for the months that follow. Michigan’s evolving medical marijuana market is still going through an extensive transition. For the past year, regulators have been enforcing a slate of new rules & regulations for all players involved. It’s been a slow, uphill battle; one that has exhausted a wealthy amount of resources, leaving the state more empty handed when it comes to shifting their focus towards an adult-use market. While Michigan has been trying to reign in their operators, Illinois’ strictly regulated medical cannabis program stands in stark contrast. 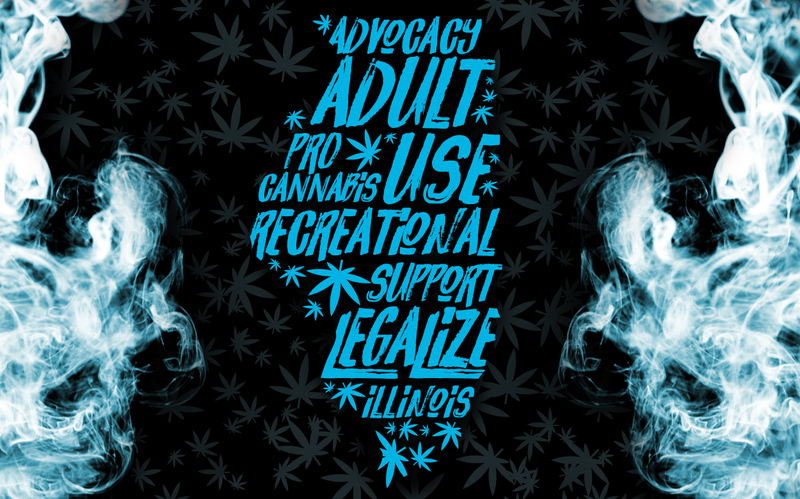 Given the nature of Illinois’s limited medical program, lawmakers like Kelly Cassidy and Heather Steans have been afforded more time to focus on what an adult-use market may look like. For the past year, the two representatives have been holding informative sessions with a variety of educators, public health officials, lawmakers, and other stakeholders; giving them a full arsenal of data, research, and recommendations from trusted officials. “As legislators, once you pass your bill it’s gone from you,” said Rep. Cassidy in a recent interview. “Getting to learn what went wrong in Colorado in home grow, looking at how other states addressed minority access to the industry & the rebuilding of communities has all been so rewarding for us,” said Cassidy. If the Illinois legislature moves forward with an Adult Use cannabis bill this year, the states’ leg up on regulation leaves potential for the Land of Lincoln to be first in the Midwest with adult-use cannabis available for sale. “There is absolutely going to be that first-mover advantage for tourism dollars and buyers crossing the border,” explained IL NORML Director Dan Linn in a recent interview with the Chicago Tribune. It’s no secret in today’s political climate that party loyalty exists. For many lawmaking proposals, the yes’s and no’s can also be divided by Republican and Democrat. But in Illinois, support for progressive cannabis laws have been welcomed by representatives from all parties. When the Alternative to Opioids Act passed this past year, it did so with a sweeping majority victory in both the House and Senate, and a handful of Republicans have already publicly supported Gov. Pritzker’s intent to legalize adult-use cannabis. “I’ve heard from Republican party chairmen to tea party activists to plain old Republican voters who say, look, tax and regulate it. That’s the proper role of government on this one. There’s a group of Republicans who support the position I’ve staked out here,” said State Senator Jason Barickman in a recent interview with Illinois Public Radio. An adult-use market is coming to Illinois, but it will take a significant bipartisan effort if legislation is to quickly pass and be implemented before Michigan makes its first sale.